The Pioneer 15" S-Class POS computer combines standard POS station necessities to save space at your checkstand. With an integrated receipt printer and optional integrated barcode scanner, card reader, and customer display, the 15" S-Class can put all of your retail functionality in a single small footprint. Powered by an Intel Atom, Dual Core, or Core 2 Duo processor, there is an 15" S- Class powerful enough to handle whatever POS applications you need. 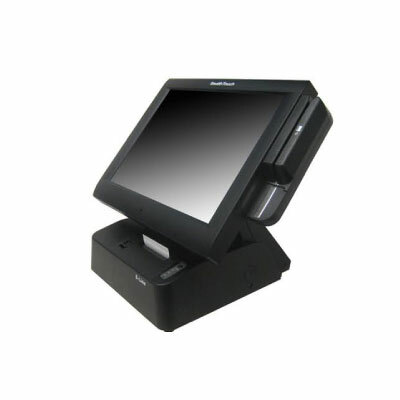 The 15" display on the POS computer runs at a native 1024 x 768 resolution, displaying POS software and order entry screens easily. You get your choice of Resistive, InfraRed, or Capacitive touchscreen technologies, ensuring easy, accurate operation in any location. An Epson 3" thermal receipt printer comes built into the 15" S-Class, saving space at your checkstand. The printer supports standard 3.125" wide receipt paper, printing at nearly 10" per second. To maximize uptime, the printer can be replaced in the field, saving you from having to ship the entire POS computer back for repair. Additional peripherals, including an omnidirectional barcode scanner, 3-track card reader, and 2-line or LCD customer display offer additional functionality.